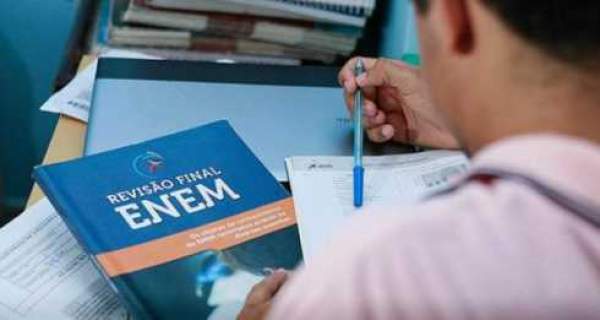 Enem 2016 Results: The National Institute of Educational Studies Teixeira (INEP) has released the result / resultado of National Survey of Secondary Education aka Exame Nacional do Ensino Médio or ENEM today, January 18. Around 6 million candidates took part in the examination. The candidates who appeared in the tests can check their result now by visiting the official website (http://enem.inep.gov.br/). Also, they can now check the notes on the Enem participant page at http://enem.inep.gov.br/participante/#/inicial. To access the results, the candidates need to have the CPF and password (chosen at the time of registration). Then, students will get the table showing the grades obtained in each of the tests: languages, mathematics, humanities, natural sciences, and writing. Further information and access will be provided later on. The checking and evaluation of Enem are based on the Item Response Theory (TRI). Thus, the test doesn’t have a fixed marks for each item. It will vary according to the percentage of correct answers and errors for a particular question. It means that the question which gets a significant number of hits will be considered easy and thus will carry fewer points. Questions which candidates did and witnessed a high error rate will be regarded as difficult and worth more points. Candidates can apply for both public higher education by the Unified Selection System (SISU), and scholarships in private higher education by the University for All Program (ProUni) and to enroll in the Student Financing Fund (Fies). Moreover, candidates who are 18 years of more can utilize Enem to get high school certification. Maria Ines Fini, the President of Inep, said that the site was attacked by hackers after the releasing the notes. It made difficult for students to access the notes. The required page didn’t load for a long time. Fini said that it happens every year and they took care of it by placing an external link to the page. Now, candidates can access the notes’ page as well as the participant page at the inep.gov.br. Stay tuned to TheReporterTimes for latest education news and other government jobs’ updates across the globe. Don’t forget to share the info with your friends.